The SM-O66SN SloMo Elite Video Server Controller with JLCooper Tall Optical Jog Only Mechanism from JLCooper is a customizable slow motion controller for software developers and OEMs, with the JLCooper jog-only mechanism, and NKK LCD remotely-relegendable compact high-resolution RGB backlit key switches. 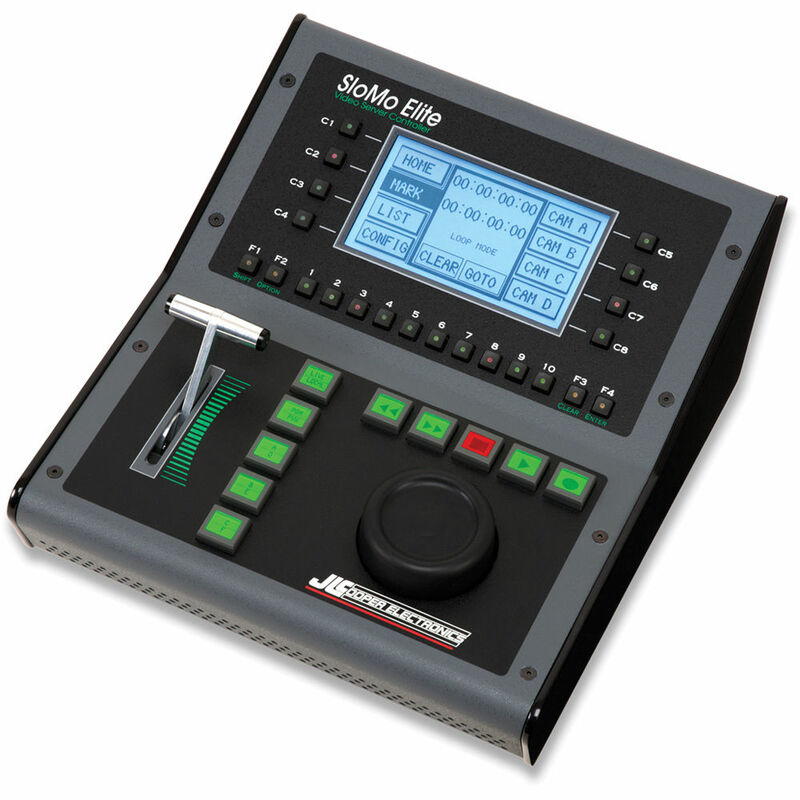 The SM-O66SN closely integrates with your proprietary software, creating an elegant and complete control package for daily broadcast, sports, instant replay, scoreboard, and other applications. The controller utilizes USB 2.0 and Ethernet interface, and requires code level support from application developers.